Another tough day in the Python Police. These maps a back to front! Ring-pull tins are no fun. I used to love using the wee key to unzip the old-style ones. Then we came to France and found that such tins didn't come with keys here: you had to buy a great big stainless steel one that doubled as a bottle-opener. Ours is still knocking about in a kitchen drawer. Police Uncover Stash of Nausea Grenades. "Could have gone off any time after 03/02/2025 16:32", says Bomb Squad spokesperson. 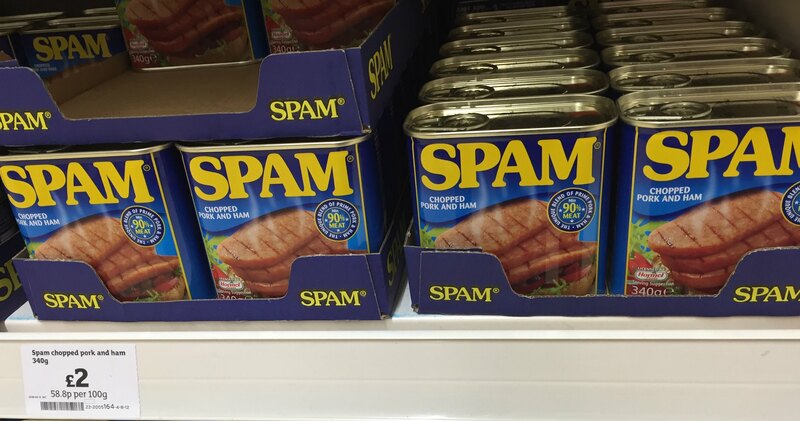 My spam filter must not be working as I can see the photo.